If you are a nail art lover and like to realise your manicures on your own then opt for this Couleur Caramel Nails Decalcomania Model 1. 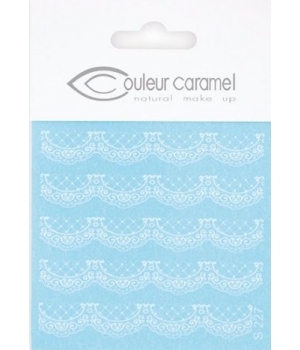 It softly enhances your nails thanks to its fancy and original motifs. Easy to apply, it brings the touch of originality your nails needed in a jiffy! After having applied your nail polish, cut the motif to the desired size and soak it in water for 15 seconds. Apply to the nails. Finish with a coat of clear nail polish for a neat and long-lasting result.